Tom Cruise not only a handsome man,he is the best actor. Mission Impossible:Fallout is indeed a terrific family-action movie from the start till the end. Great Espionage movie.mesmerizing action,great acting and grand direction. I am not surprised if this terrific movie wins too many Oscars. See it and enjoy the enchantment in this masterpiece film. The set pieces are gorgeous as you'd expect from a huge budget. The actors are A list. The special effects are very good. That's where it ends. The script was an egofest for Cruise and unintentionally a laugh out loud comedy that has all the laughs from unrealistic early movies. Plot. Tom Cruise is just too damn nice. He's the super agent with a huge heart, willing to risk the fate of the world for his friends or even for an innocent police officer he doesn't know. He's just that kind of awesome sweetheart. But it can cause problems. And now the US government doesn't know whether Tom is just another ticked off agent who is double crossing his own people! Oh no, not that All American boy we love!!!! Can he and a team of geriatric looking jokesters top the world's most evil man, save the world and save everyone they love? Well, not for a minute did I think anyone believed old Tommy was in danger, in spite of doing the most craptacular stunts.Problems:1. When a character criticizes Tommy and says "no one will fall for that trick" and everyone in the audience knows what's going to happen next.2. What happens when a double cross double crosses the double crosser who double crosses the double double crosser because it needs to be done in order to double the double cross? 3. When Tom needs help from Hollywood, he gets it. Time slows down, high elevation becomes nothing more than a hit the ground and roll fall, the bad guys simply take their sweet merry time so that Tom can arrive... you name it. Every laughable exaggeration from old films made it into this one.4. The obsession with getting even with Ethan Hunt will distract everyone from their master plan. Hmmm.... so let's see the choice.... get away or get even with Ethan Hunt and potentially screw up all my perfect master plans which would kill Hunt anyway? The obsession must go on and Ethan must always win.The audience was laughing at this lazy tripe. These reviews are fake. The vast majority of movie franchises suffer from diminishing returns. This Tom Cruise-led action series has avoided that common downturn by turning in ridiculously ambitious, consistently fresh and eminently exhilarating thrill rides. The sixth M:I entry, Fallout also boasts some firsts: first time a director has returned, first time the story has been directly influenced by the previous instalment, and first time a femme fatale has come back to seduce/endanger our protagonist. A big part of the franchise's success has been the revolving door of directors at the helm, each bringing their own visual style and filmmaking priorities, so it's interesting to see how Christopher McQuarrie attacks his second impossible mission behind the camera. Not surprisingly, seeing as McQuarrie has always been a more blunt-force kind of action filmmaker, this sequel is arguably the most bruising and intense. Which is no small feat for a series that has prided itself on its physical demanding set pieces. There are no less than four sequences that are genuinely jaw-dropping in their execution, featuring crunching hand-to-hand combat, an invigorating car/motorbike pursuit, an adrenaline-pumping roof-top chase on foot, and a ballsy helicopters-playing-chicken sequence beginning with an unbelievable stunt. Love him or hate him offscreen, it's getting harder to argue that Cruise isn't one of the finest showmen working in Hollywood today. His dedication to performing some of the craziest stunts committed to celluloid is admirable and, quite simply, amazing considering his age. But it wouldn't be the hugely entertaining film it is if everyone wasn't firing on all cylinders; from the pitch-perfect supporting cast (Simon Pegg's comedic sidekick, Rebecca Ferguson's MI6 agent, Henry Cavill's undiplomatic CIA henchman) to the behind the scenes crew. In fact composer Lorne Balfe deserves special mention for his left-of-field score, the use of low, haunting orchestral tunes (including a fantastic rendition of the classic M:I theme) during select sequences is a masterstroke in imbuing the movie with a certain gravitas. With everyone at the top of their game, headlined by another fervent Cruise performance, Fallout is extremely high-calibre action cinema that will feature predominantly on end-of-year 'best' lists. I didn't even recognize this as a mission impossible movie. All the characters felt somehow different. The action was quite unbelieveable and not in a good way, it didn't have any wit to it as in ghost protocol. Most of the action scenes were just mindless car chasing with nice camera angles, nothing else. Bathroom scene felt like taken from true lies, and van scene felt like it was taken from dark knight, hell even the music sounded the same as in dark knight. Just when I felt the plot suprised me a little, some other plot twist comes which dumbs the last one down and makes the movie feel more stupid. Near the halfway mark I was ready to leave the theater. If you're going to see this movie I implore you to reconsider and watch ghost protocol or some good action movie like Taken instead. IM Fallout is definitely a brilliant action flick. Action scenes are perfectly directed, some stunts are rather terrific, locations are beautiful, the pace is nearly perfect. Only problem is... the plot. My god, that plot... It's not that it's bad, it's just that it's been seen thousands of times before in movies or tv shows. There is absolutely no surprise, no twist, one see everything coming from a mile away. That movie has been written by Captain Obvious, assisted by his sidekick Bob AlreadySeenThat. 10 for the action, 0 for the plot. That makes an average 5. 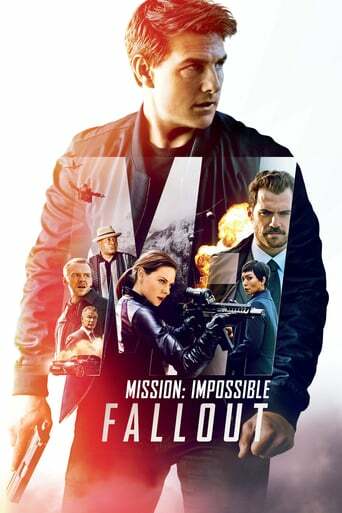 Downloading Seeding Mission Impossible - Fallout (2018) [WEBRip] [720p] [YTS.AM] from to 0 peers.